This entry was posted in Lampwork and tagged art glass, bead soup blog party, beads, handmade, jewelry, lampwork, lampwork beads, twisted chicken, twistedchicken. Wow, love what you did with the soup mix. 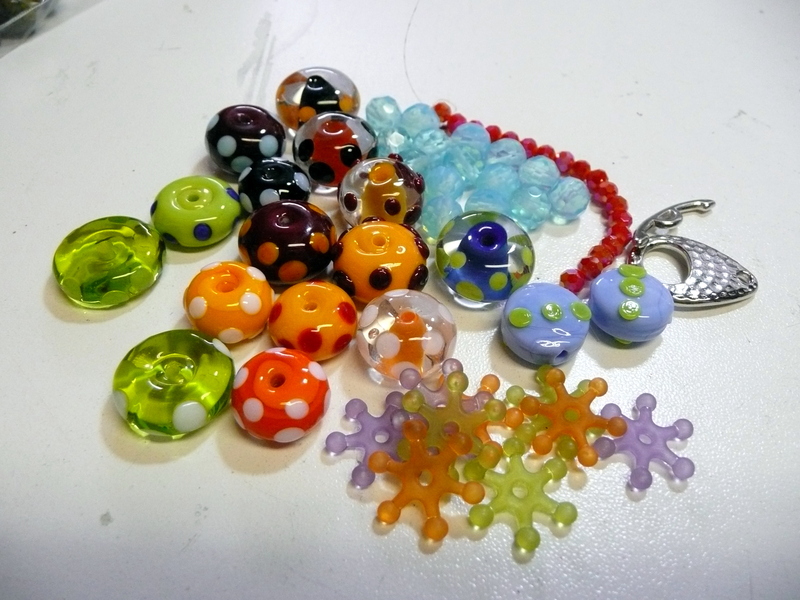 Great job and your lampwork pieces look great with it. I had a lot of fun with what I received from you and look forward to seeing what everyone else made. Absolutely love your work!…and Houdini of course too…. Oh god that focal is lovely, and what you did with all the more so ! Good at Houdini decided to help you out… What an handsome fellow ! What creativity! Love the mixing of colors and beads. What a fun necklace. So much going on! Thanks everyone for stopping by and leaving me a comment. If Houdini only knew how popular he was, he’d be even more aloof! what a stunning necklace, really awesome. Oh, what a riot of color! This necklace turned out wonderfully, and showcases Dana’s pendant perfectly! (and please give Houdini extra loves for me!) Great job! What a fun piece you made! and of course, I love the kitty! 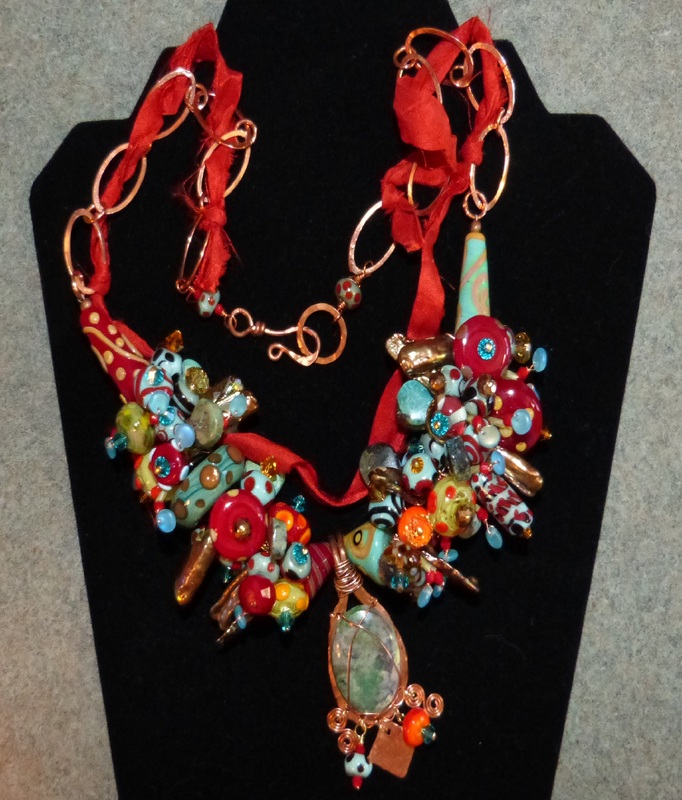 Beautiful eclectic necklace, would be so fun to wear! I love your colorful creation! 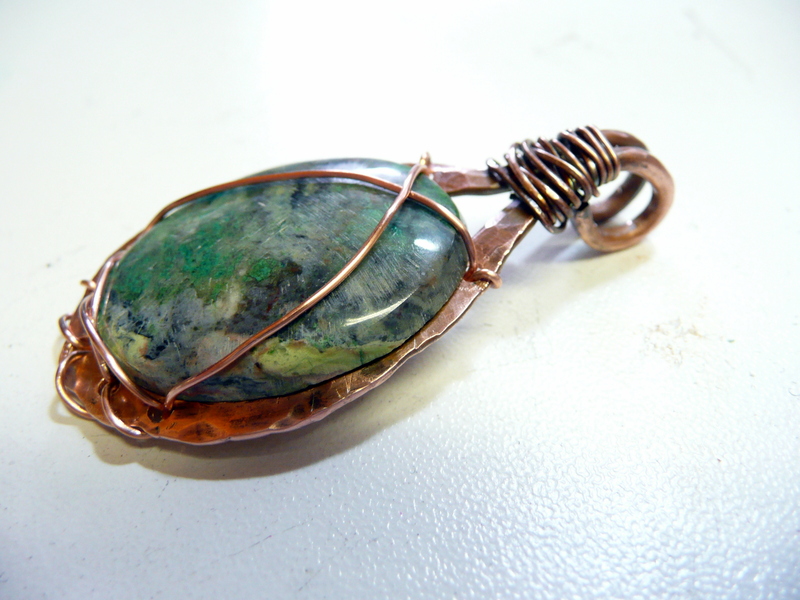 The wire-wrapping is wonderful. great, full of colours work! congratulations! 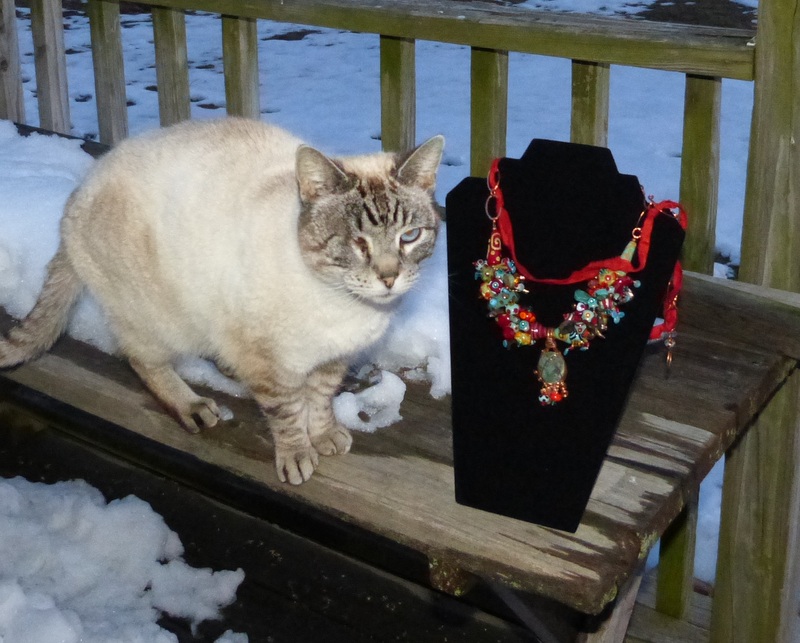 Your necklace is so much fun – love it! Beautiful! So colorful and love what you did with the ribbon! Love the colors and the whole design. Gorgeous! Just love it ♥ all those colours make feel cheerful! 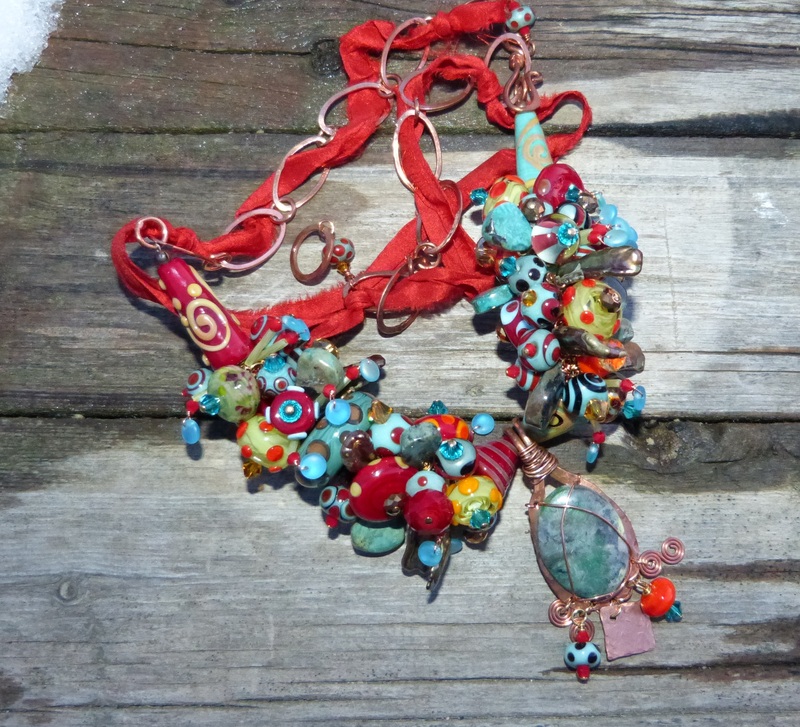 Great necklace ….so much fun with all the colours. Your necklace reminded me of the Art Bead Love Chain. 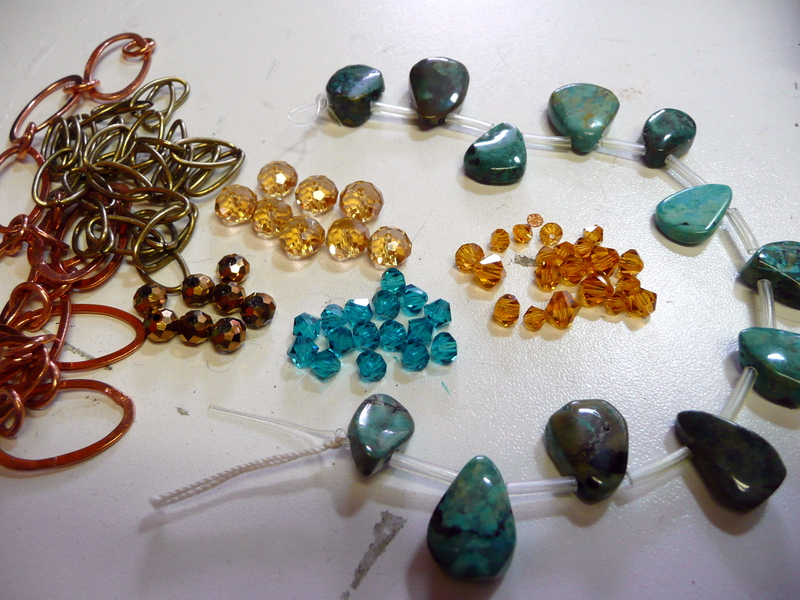 All of those beads waiting to go to a wonderful home. The pendant worked great with all of those beads! Ok now I understand the twisted in the twistedchicken. 🙂 Your finished product was a surprise not what I was expecting and this is why I love this party. Creative and inspiring. This is a party around your neck! How fun is that! It would have to make you happy when you wear it! Thank you for sharing your talents with us! Wonderful piece! Very eclectic and just alive with color! Mmm, so luscious! Thank you for helping, Houdini! Thanks everyone for taking the time to stop by and make comments! I’m going to be sitting down some evening and looking at everyone’s pictures. It’s the best eye candy around! 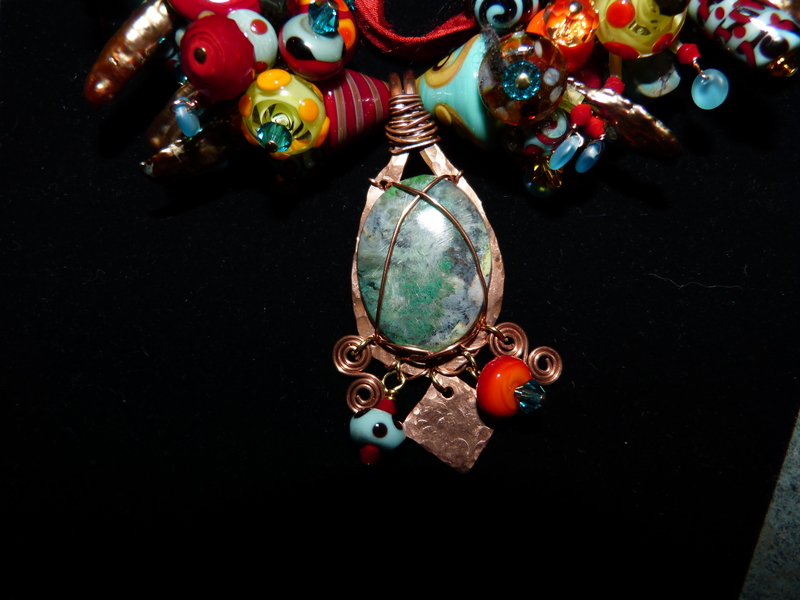 So much lovely work involved in your necklace! Great job and fun colors. Wow, that’s a visual feast! Nice job! Love your creations! So many interesting elements. Congratulations! WOW but that’s a statement necklace! I love full, lush necklaces — I can pull that off because I’m fluffy 🙂 You did a great job!!!! Colors galore! Such a fun necklace. Lifts my spirits just to look at it. Houdini seems like a nice helper. What a fun and brilliantly designed necklace!!! Love the color and the movement and all of the texture!!! have a Blessed day! What a beautiful combination, your necklace looks fantastic. 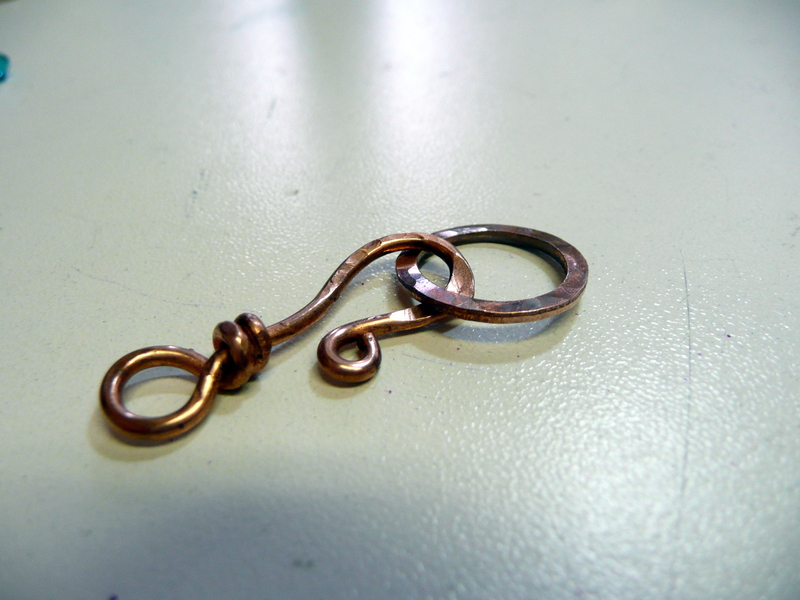 It really is so uplifting to see such a happy piece of jewellery. Oh how lovely all those bright colors are!! They are really something all together like that. What a nice job you did. 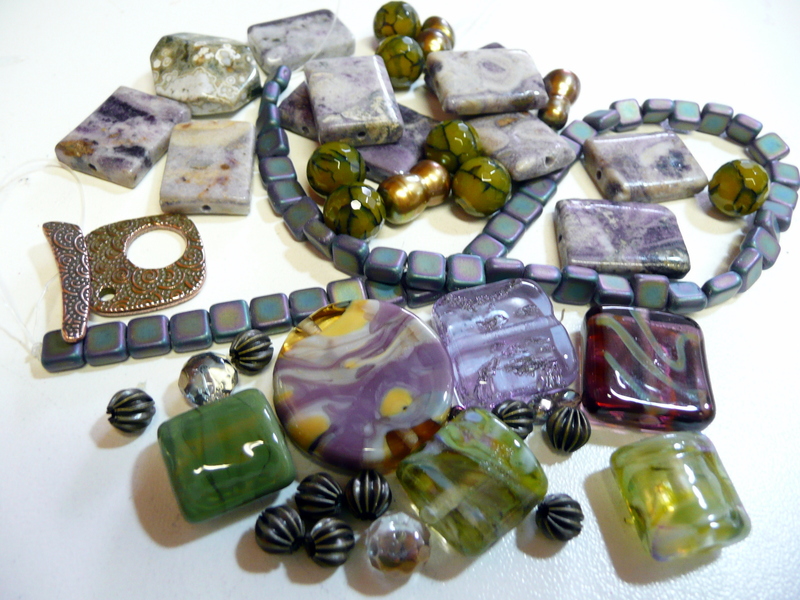 I think your piece is glorious in all its fabulosity of colors and lampwork beads. A person would feel truly royal wearing it.